From the 5 to the 10 last April, the Joint Task Force Lebanon (JTF-L) of the Sector West (SW) has deployed, in addition to the devices already in place, in the stretch of 51 kilometers that insist in the SW of the Blue Line, the line "Practice" that separates Lebanon from Israel, in addition to 90 set up to guarantee temporary observation posts and conducted more than 20 motorized and footed patrol activities, twenty-four hours a day, of specific sensitive areas previously identified. The precautionary measures, implemented at the turn of the Israeli political elections, held last April 9, were aimed at preventing any possibility of escalation of tension between the parties along the Blue Line, considered, to date, one of the most sensitive areas of the Middle East . The 22 last March, the commander of SW, Brigadier General Diodato Abagnara, ordered the increase in the presence of troops in the areas deemed most sensitive. The subsequent launch of the "Blue Line enhancement" operation on April 5, with the increase in control and monitoring measures, has implemented the deployment of men and equipment on the ground to consolidate the role of interposition between Lebanon and Israel and the de-escalation between the parties. 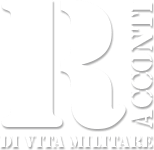 The total use of approximately 900 Blue Helmets of the maneuvering Task Forces (ITALBATT, GHANBATT and IRISHBATT) for the monitoring and control of the sectors to which they belong, with the help of the rapid intervention forces framed in the Sector Mobile Reserve (SMR), employed by the JTF-L, favored the maintaining a calm and stable situation for the duration of the operation. In this regard, the president of the Federation of Municipalities of the Municipality of Bint Jbeil, Atallah Shaito, remarked, during a meeting with the commander of Sector West, how to strengthen the presence of the Blue Helmets it has also raised the level of perception of security among the local population. 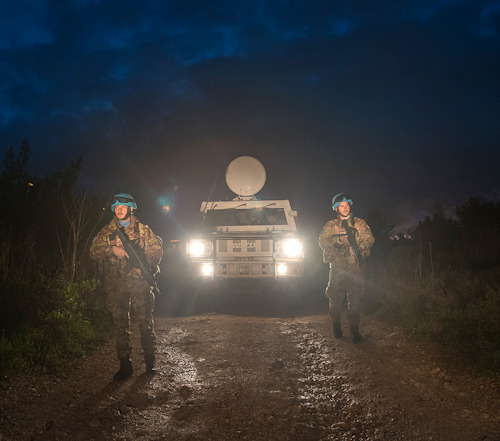 One of the main tasks of the UNIFIL Mission peacekeepers, in accordance with the UN Security Council Resolution 1701 / 2006, is to monitor the cessation of hostilities between Lebanon and Israel. In this context, the activities conducted without interruption, along the Blue Line, contribute not only to maintaining the stability of the area but are also aimed at encouraging the implementation of the international mandate, with the aim of allowing the desirable achievement of a permanent ceasefire between the parties.